373 pages | 28 B/W Illus. Globalization and the easy movement of people, weapons, and toxins across borders has transformed security into a transnational phenomenon. Preventing transnational security threats has proven to be a very difficult challenge for governments and institutions around the world. Transnational Security addresses these issues, which are at the forefront of every global security professional’s agenda. This book analyzes the most pressing current transnational security threats, including weapons of mass destruction, terrorism, organized crime, cybercrime, natural disasters, human-made disasters, infectious diseases, food insecurity, water insecurity, and energy insecurity. It considers the applicable international laws and examines how key international organizations are dealing with these issues. The author uses a combination of theory and real-world examples to illustrate the transnational nature of security risks. By providing a detailed account of the different threats, countermeasures, and their implications for a number of different fields—law, public policy and administration, security, and criminology—this book will be an extremely useful resource for academicians, practitioners, and graduate and upper-level undergraduate students in these areas. 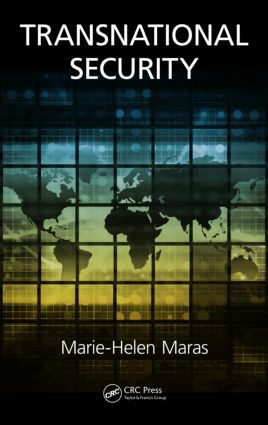 "In her latest book, Dr. Maras launches readers into a world where the bricks of national security are held in place by the mortar of transnational security. Dr. Maras spares no one in framing transnational threats for her reader’s consideration. This book is both well researched and well documented. For those tasked with researching and developing security policy, student and practitioner alike, this is your book." Targeted Killings: Justified Preemptive Strikes? Natural Disasters: A Forgotten Security Risk? Nuclear Events: Accidents or Incidents? Dr. Marie-Helen Maras is an Associate Professor at the Department of Security, Fire, and Emergency Management at John Jay College of Criminal Justice. She has a DPhil in Law and an MPhil in Criminology and Criminal Justice from the University of Oxford. In addition, she holds a graduate degree in Industrial and Organizational Psychology from the University of New Haven and undergraduate degrees in Computer and Information Science and Psychology from the University of Maryland University College. She has taught at New York University and SUNY-Farmingdale. Dr. Maras has published four major works at Jones and Bartlett, books titled: Computer Forensics: Cybercriminals, Laws and Evidence (1st edition); Computer Forensics: Cybercriminals, Laws and Evidence (2nd edition); Exploring Criminal Justice: The Essentials; and Counterterrorism. She has also published in peer-reviewed academic journal articles on the economic, social and political consequences of measures seeking the surveillance of the telecommunications and electronic communications data of all EU citizens in the European Journal of Law and Economics, International Journal of Law, Crime and Justice and the Hamburg Review of Social Sciences. Moreover, she has provided chapters for edited volumes by Benjamin Goold and Daniel Neyland, titled New Directions in Privacy and Surveillance (Willan Publishing, 2009), and Justin Sinclair and Daniel Antonius, titled The Political Psychology of Terrorism Fears (Oxford University Press, 2013). Furthermore, she published an edited volume titled CRC Press Reader on Terrorism (2013). In addition to her teaching and academic work, her background includes approximately seven years of service in the U.S. Navy with significant experience in security and law enforcement from her posts as a Navy Law Enforcement Specialist and Command Investigator. While in the Navy, she supervised her personnel in conducting over 130 counter-surveillance operations throughout Operations Enduring Freedom and Iraqi Freedom. During the early stages of her military career, she worked as an Electronics and Calibration Technician.